ALL CHANGE IN DOCa RIOJA? ALL HAIL CHANGE IN DOCa. RIOJA? On Saturday 20th May, when I had just returned from judging in this year’s annual D.O. Yecla Wine Competition, my phone, in vibration and ring-tone mode, began a merry and sustained dance up and down my office desk. I was receiving continuous Tweets and Facebook Messages which were using the hash-tag, #DiaMovimientoVinoDO, from the Denominaciónes de Origen (DOs), wine producing areas, all over Spain, including its islands. All showed smiling young, middle aged and older consumers downing what appeared to be copious amounts of their local DO wine: in the vineyards, at bodegas, in the grounds of the DOs’ Consejos Reguladores, at street parties, private parties and even BBQs! Great – a celebration of wines made under the auspices of so many of the DOs of Spain, with a clear goal of promoting such wines. And why not? However, as there were so many, and as it was obviously a concerted, coordinated almost choreographed effort, my untrained, but, sufficiently experienced, reporter’s nose started to, if not smell a rat, at least make me suspicious. I made some notes on it at the time, with a view to revisiting when I’d have more time to research. Yesterday, a Tweet from one of the world’s best wine magazines, the UK based, Decanter, alerted followers like myself to the fact that there has just recently been approved a new regulation in that most conservative and famous area of Spanish wine production, DOCa. Rioja. My revisit couldn’t wait any longer! Granted, at first glance it doesn’t seem to have reached the Breaking News level, but those who are aware of a little of the background, i.e. regular, avid Cork Talk readers, will have picked up on the fact this is a clear DOCa. response to recent criticism from some consumers, yes, but mostly from producers within the DOCa. Criticism, that culminated (though it’s not necessarily over yet!) in one of the most prestigious and famous Rioja producers opting to leave the DO. Bodegas Artadi, makers of the world famous El Pisón wine, one of the most expensive wines from Rioja, decided to go it alone! Their argument is that currently (until now?) the rules do not allow any sense of place, of terroir, to be included on Rioja labels. The fact is that Rioja producers can source their grapes from anywhere within the DOCa. – that’s a large area, where there are many different soils, altitudes, micro-climates etc. The result, it is argued, is that we can only ever buy ‘general Rioja’. And, the smaller producers complain, it unfairly favours the larger concerns! As with any change there are those who herald it as a new beginning, a significant change – The DOCa. Rioja for example, whose representative is quoted in Decanter Magazine as saying, ‘It reconciles the interests of winemakers… as well as those of opinion leaders and end consumers who demanded more information on the label’. However there are those within the DOCa who are concerned that it is too little too late and rather too akin to locking the stable door after the horse had bolted. 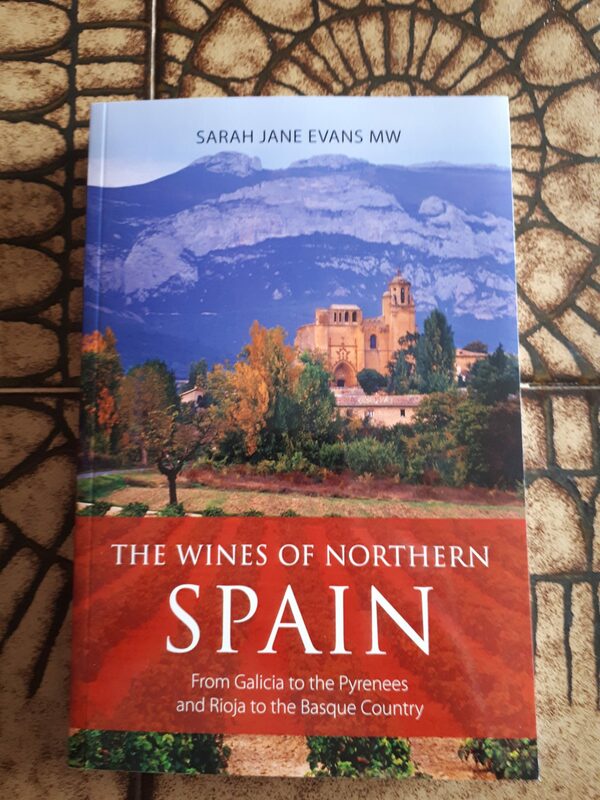 Sarah Jane Evans MW, expands: ‘This looks like a welcome development in principle. I am glad that the DO has proved it can move quickly. It doesn’t guarantee that every single vineyard wine will be an excellent one, though. Some producers are expressing concern that there will just be lots more single vineyards and consumers won’t know what to choose. There will also always be great wines that are blends across the region. The singular viñedo wine may not necessarily be better – it is the top of a pyramid, but not the top of the only pyramid. The village category would also be welcome. Serious consumers and collectors expect to find this in every fine wine region. I welcome flexibility. There is a new generation of producers in Rioja, and it will be good to enable them to work within the DO. So it would seem that, some dissenters apart, the Rioja change is welcome – though most are eagerly awaiting further changes. However the #DiaMovimientoVinoDO at the start of this week’s Cork Talk, was not simply about DOCa. Rioja. There have been, and continue to be, rumblings of discontent in several other DOs of Spain and these will be discussed in newt week’s column, which asks – are DOs’ Days Numbered?! My thanks to Jane Anson and to Decanter Magazine whose articles I researched before writing the above; also, of course, to Tim Atkin MW and Sarah Jane Evans MW who are always generous with their time when I ask for their advice and comments. Author ColinPosted on October 5, 2017 Categories ArticlesTags riojaLeave a comment on ALL CHANGE IN DOCa RIOJA?